Eid al-Adha is a special celebration for Muslims all over the world. It is a time when we remember the willingness of Prophet Ibrahim (peace be upon him), to follow Allah's command to sacrifice his son. As he was about to carry out this task, Allah sent the angel Jibrail to place a sheep in his son's place. Ibrahim (peace be upon him) then sacrificed the sheep instead of his son. Muslims remember this story every Eid al-Adha, by sacrificing animals. They then split the meat three ways; one third they keep, one third they give to relatives, friends and neighbours and the final third they give to the poor. Eid al-Adha is the second Eid in the Islamic calendar and is celebrated at the end of the Hajj pilgrimage. It begins when the pilgrims descend from Mount Arafat in the east of Mecca. Celebrations generally last for three days. My children are growing up in a non-Muslim country where Christian festivals dominate the society. Therefore, I think it is important to make Eid as special as possible for them. 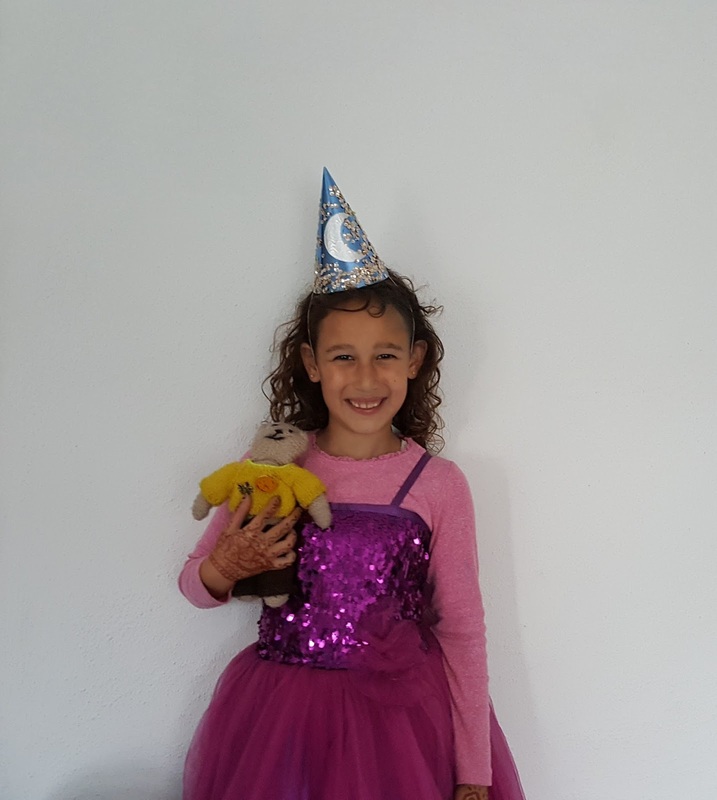 One way to do this is by throwing an Eid party and getting the children involved in the preparation. 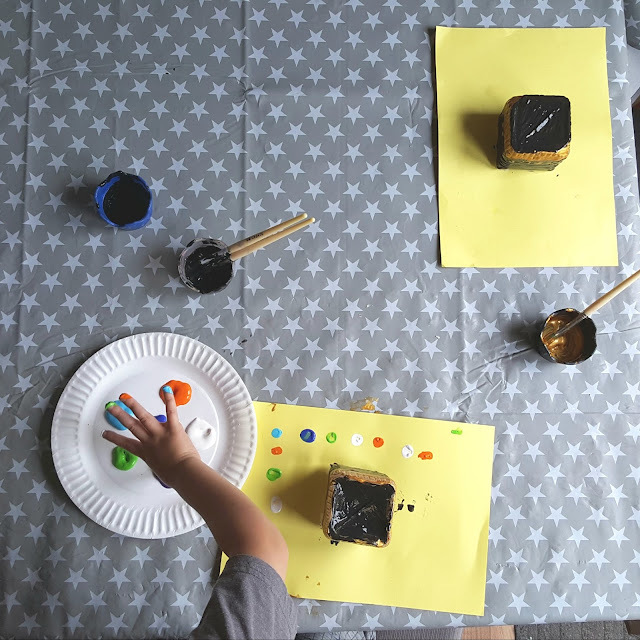 Children can be involved in all aspects of planning. Ask them who they want to invite, what they would like to eat and what games they would like to play. 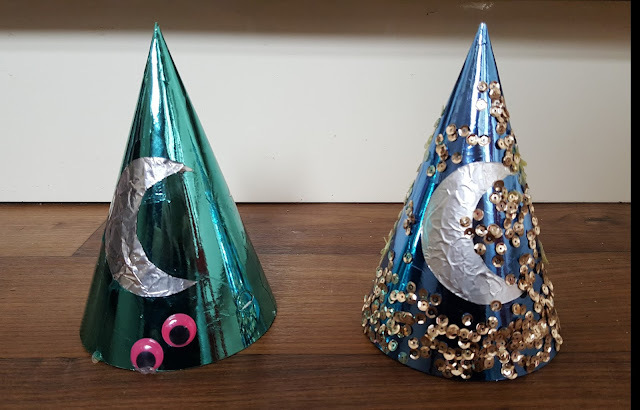 Even better, make some crafts and decorations with them to display at the party for all to see. 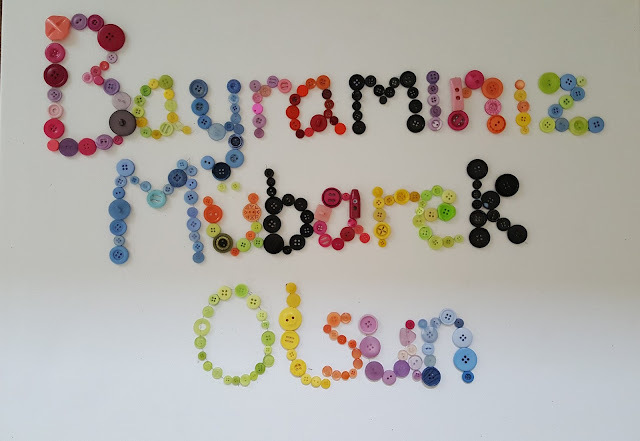 Here are some crafts your children can make for their Eid party. When your guests arrive, you want them to know they are at an Eid party. 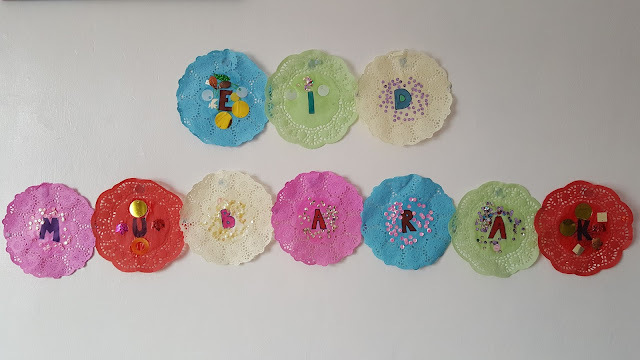 Make a banner with the words 'Eid Mubarak' to display in the party room to wish everyone a happy Eid. We took some doilies and wrote one letter of 'Eid Mubarak' on each one. Then the children had great fun sticking sequins on them. Once they had dried they were ready to put up. We stuck a piece of blu tac on the back of each one and stuck them on the wall. Alternatively you can string up the letters and hang them on the wall. 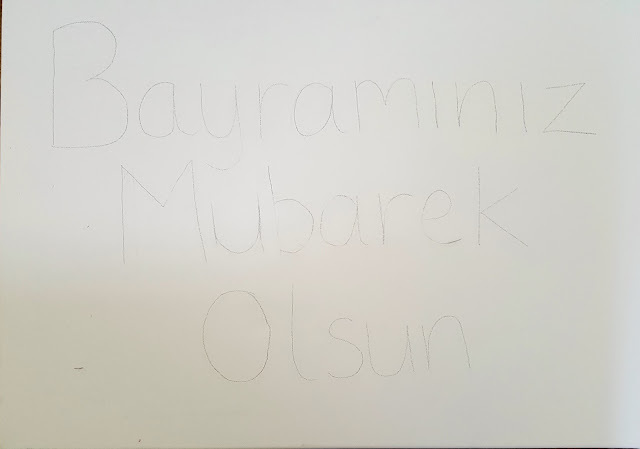 I wanted to make a decoration wishing people a happy Eid in Turkish too as Turkish is our family's second language. 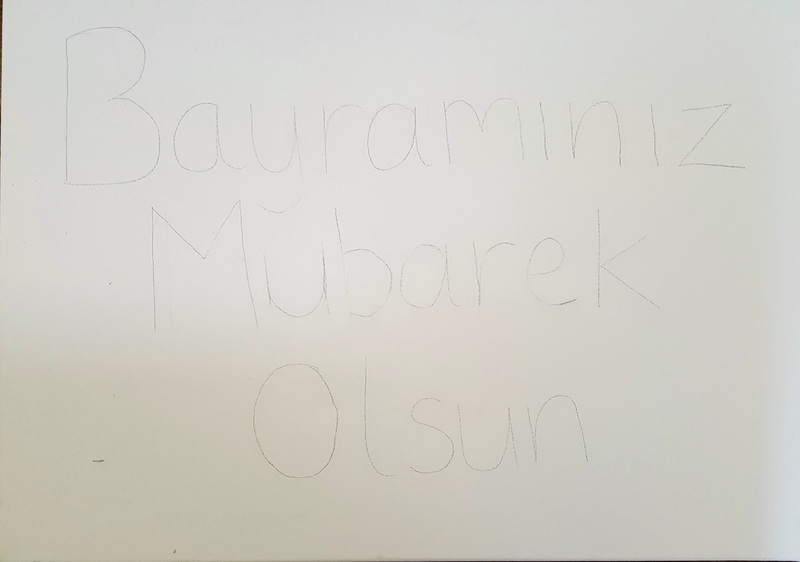 Therefore, I decided to make a canvas with the words 'Bayraminiz kutlu olsun' on it to wish all our Turkish visitors a happy Eid. 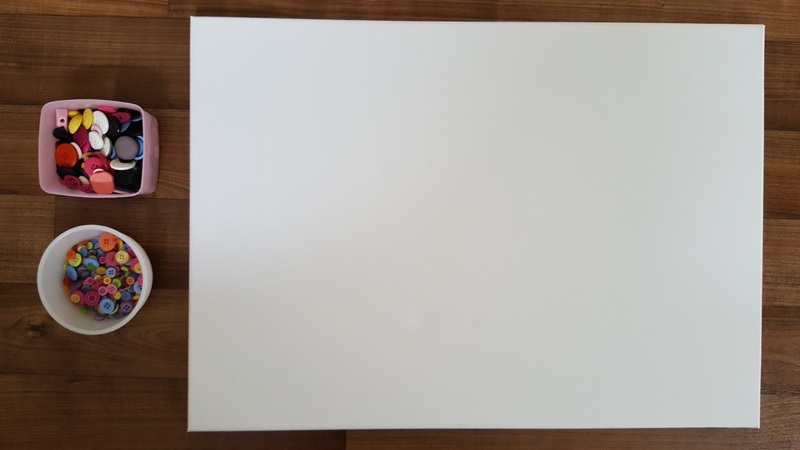 I got a large canvas and some buttons. 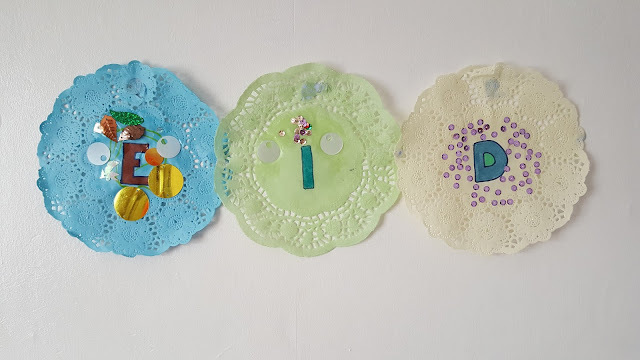 Next, I wrote the words on the canvas and the children had lots of fun sticking the buttons over each letter with PVA glue. Once it was dry, we hung it on the wall. The Kaaba is a building in the centre of Islam's most sacred mosque in Mecca and holds a deep significance for Muslims all over the world. We must face the Kaaba every time we pray and circumambulate the Kaaba when we go on the Hajj pilgrimage. 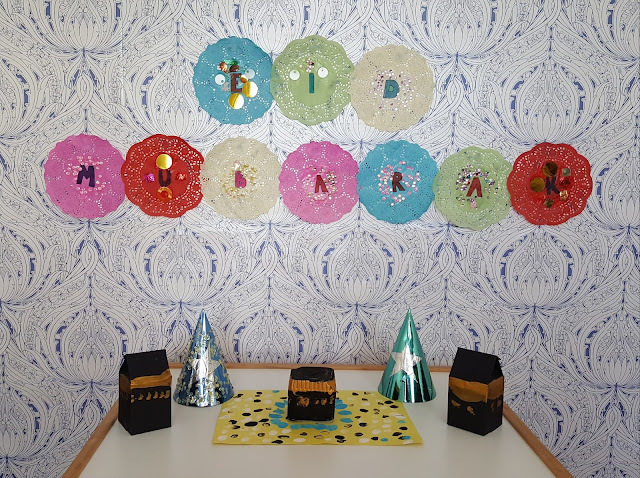 It is at the end of the Hajj pilgrimage that we celebrate Eid al-Adha, therefore, any Kaaba crafts or decorations are a good fit for an Eid al'Adha party. 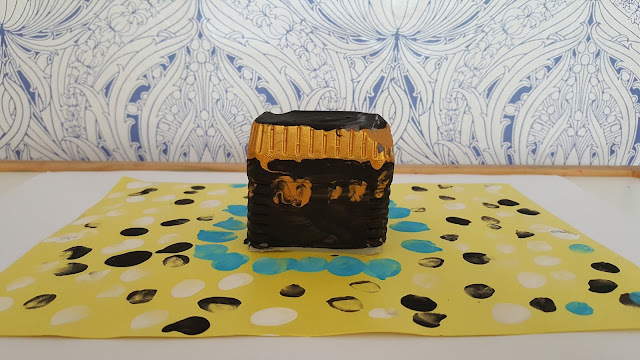 We made a Kaaba centrepiece to display in the centre of our table where the food will be laid out. 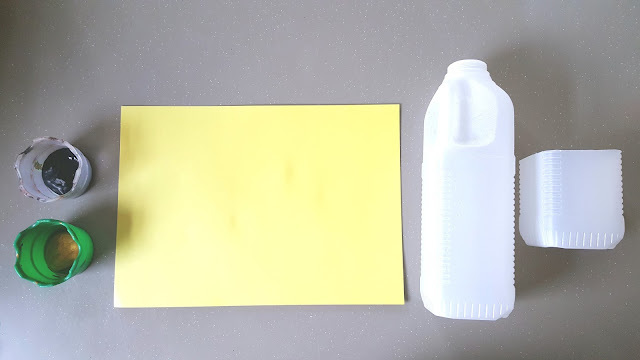 I got some empty milk cartons and cut the ends off. Then I stuck them to some card. 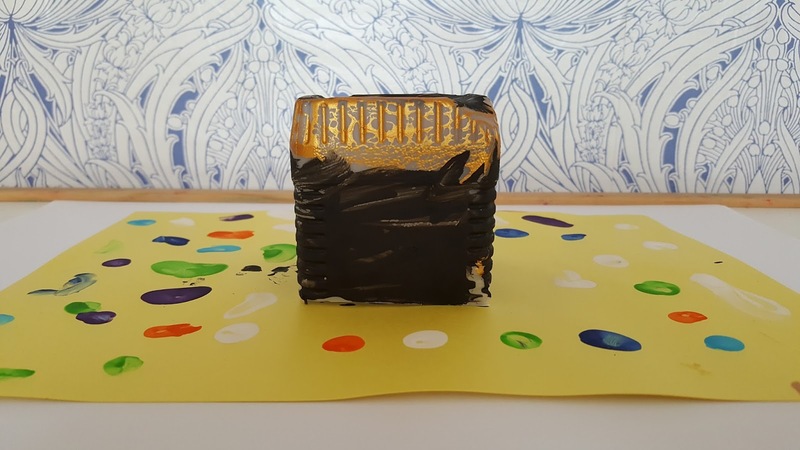 The children painted the milk cartons black and gold, the colours of the Kaaba. Then they put finger prints, using different coloured paint, all around the Kaaba to represent all the pilgrims circumambulating it. This was a great craft to get us talking about Hajj and what happens when we go on the great pilgrimage. 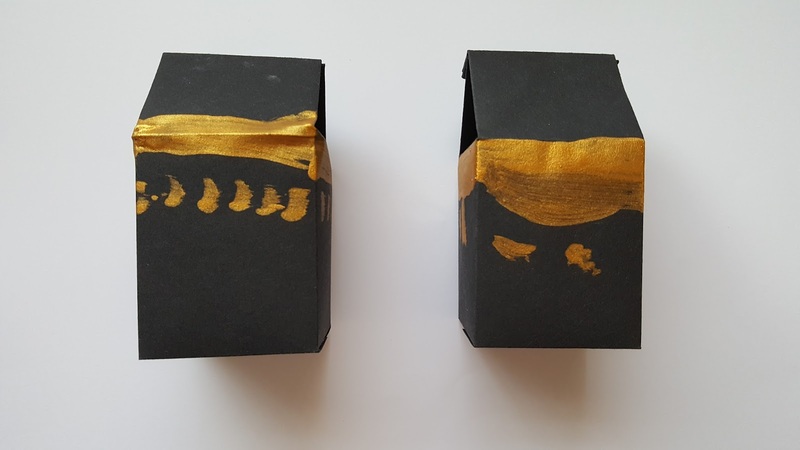 Carrying on with our Kaaba theme, we next made some Kaaba gift boxes. 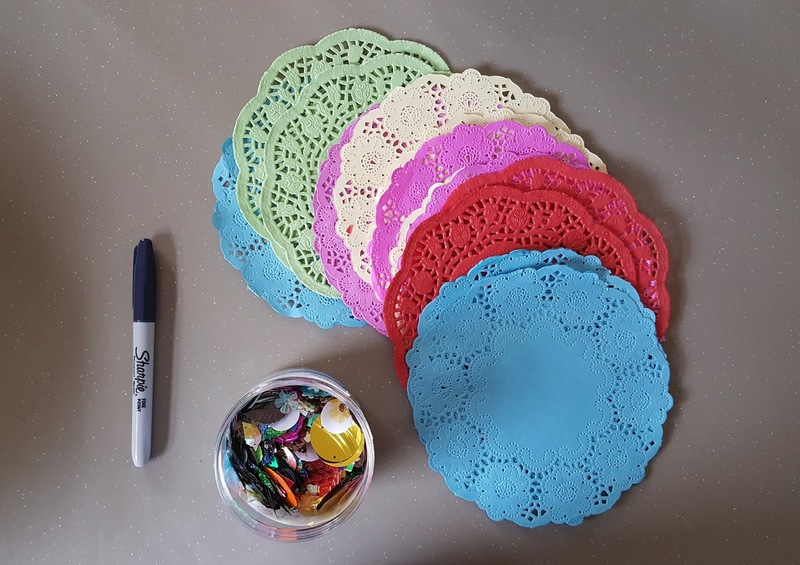 These will be used to fill with sweets or other goodies and give out to the children before they go home. 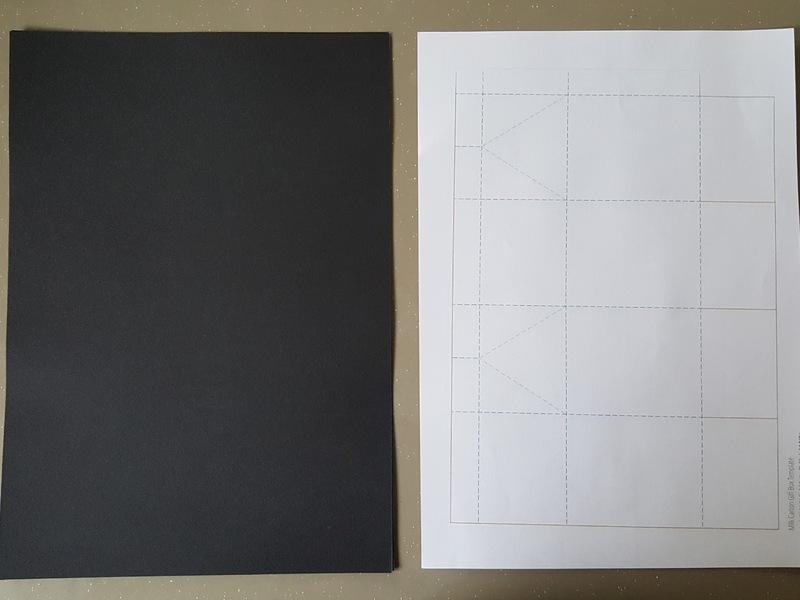 I found a printable template and used this as a guide to make the boxes. 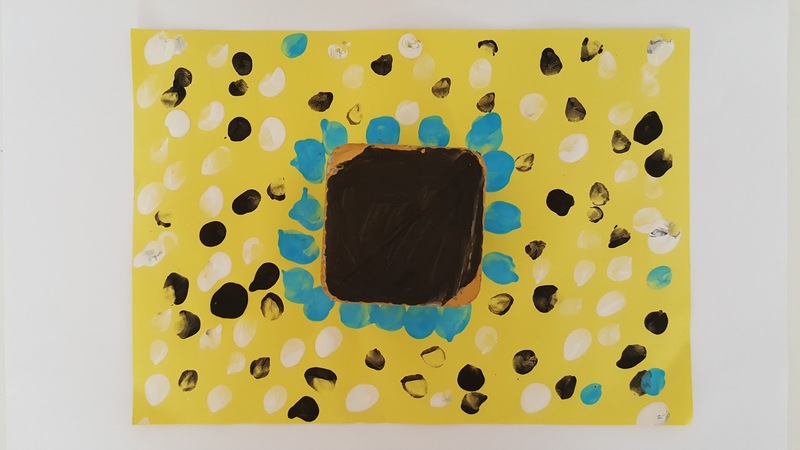 I chose black card and, once made, the children used gold paint to complete them. 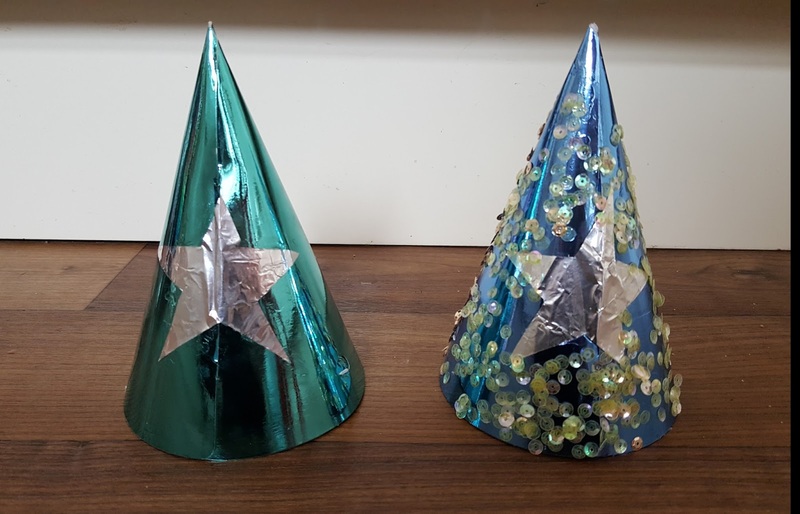 Children always like a bit of dressing up and party hats are a great way to get them into the party spirit. We used some plain, shop-bought party hats for ease. I gave the children various craft supplies and told them to get creative decorating them as they pleased. 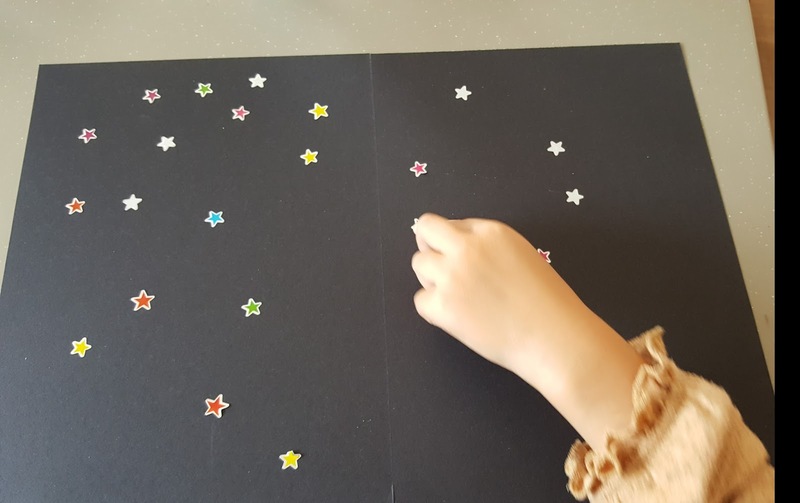 They decided they wanted a star and moon on them so I cut some out of tin foil. Then they stuck on sequins and R even stuck on some googly eyes! D is very pleased with the final result, as you can see! 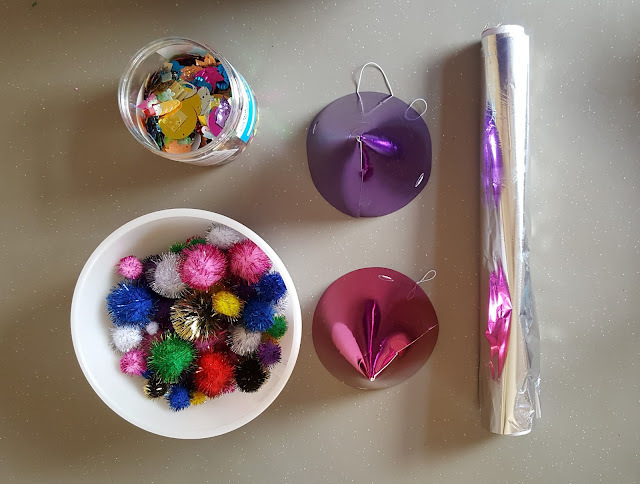 One thing which every children's party has to have is some party games. We like to play the usual, such and musical bumps, musical statues and pass the parcel, but we also like to invent a few of our own! Pin the tail on the donkey is a real favourite but not very Eid-like. We changed it up by creating a 'pin the moon in the sky' game. The moon is significant in Islam as we follow the lunar calendar. Therefore, the start of the Hajj pilgrimage, depends on the sighting of the new moon. This is a very simple craft to do. 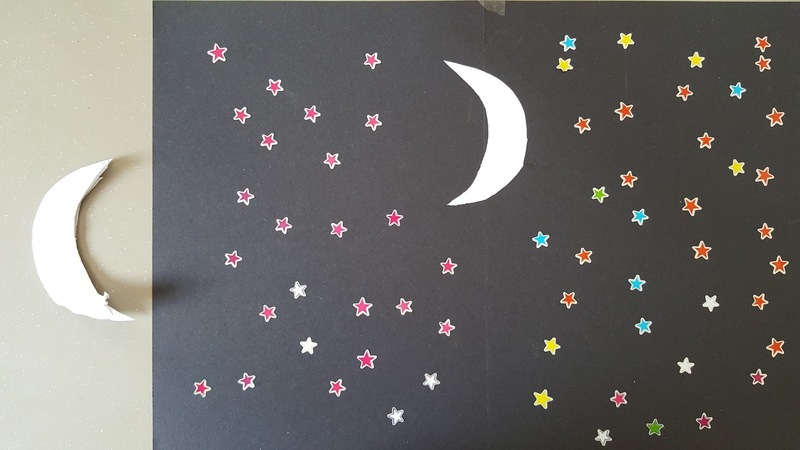 We got a sheet of black card and stuck star stickers all over it to represent the night sky. Then I cut some moon shapes out of white paper. I stuck one on the black card as the target. The others were for the children to stick on. 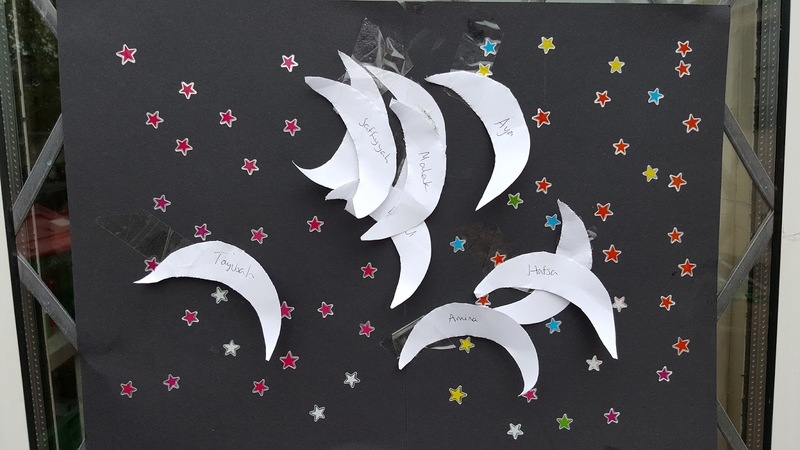 When it is time to play the game, each child takes a moon and writes their name on it. They are blindfolded and take it in turns to stick the moon as close to the target moon as possible. This is always a fun game which can create a lot of laughter watching where everyone will stick their moons. 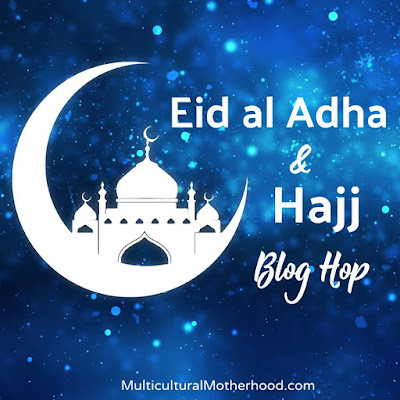 This post is part of the Eid al Adha and Hajj Blog hop by Multicultural Motherhood. Join us as we share Eid and Hajj related posts. 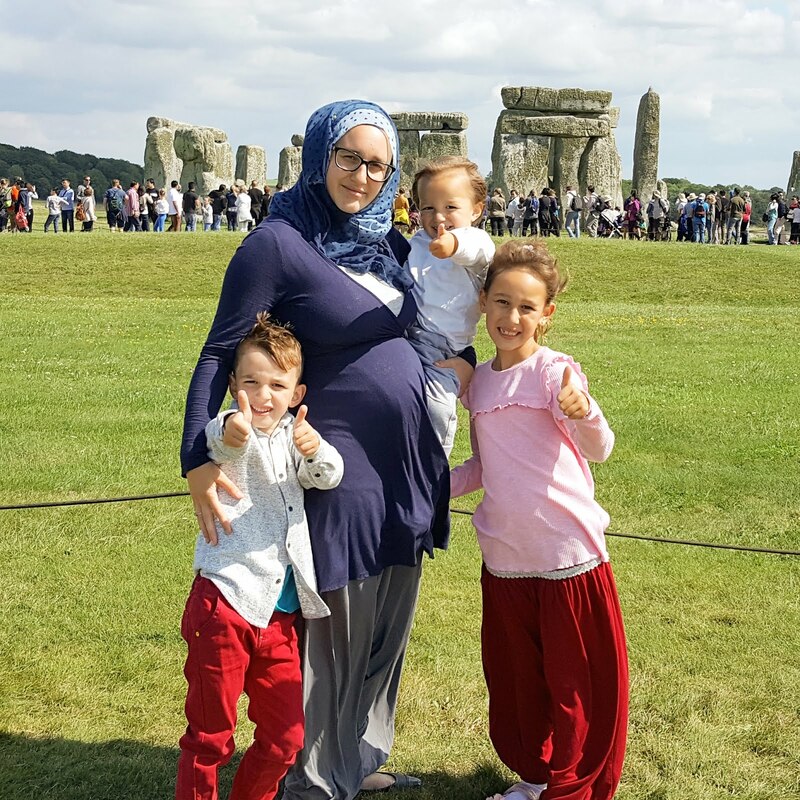 Hop over to see related posts from other Muslimah Bloggers.